AC/DC themselves made the news public on Facebook. Malcom became 64. He co-founded the band in 1973 with his brother Agnus Young. And has stayed with the band almost continuously until permanently retiring in 2014. He was diagnosed with dementia. We are very saddened with this news, as another legendary metal icon has left our mids. A musician that has inspired and influenced many generations. Last month his brother George Young has passed away too at 70 years old. 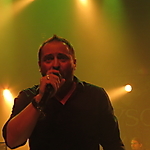 He was the main producer of AC/DC and several other prominent metal bands. 'Today it is with deep heartfelt sadness that AC/DC has to announce the passing of Malcolm Young.